limiting exposures to hazardous physical, chemical, and biological agents in air, water, soil, food, and other environmental media or settings that may adversely affect human health. interpret data and prepare technical summaries and reports. 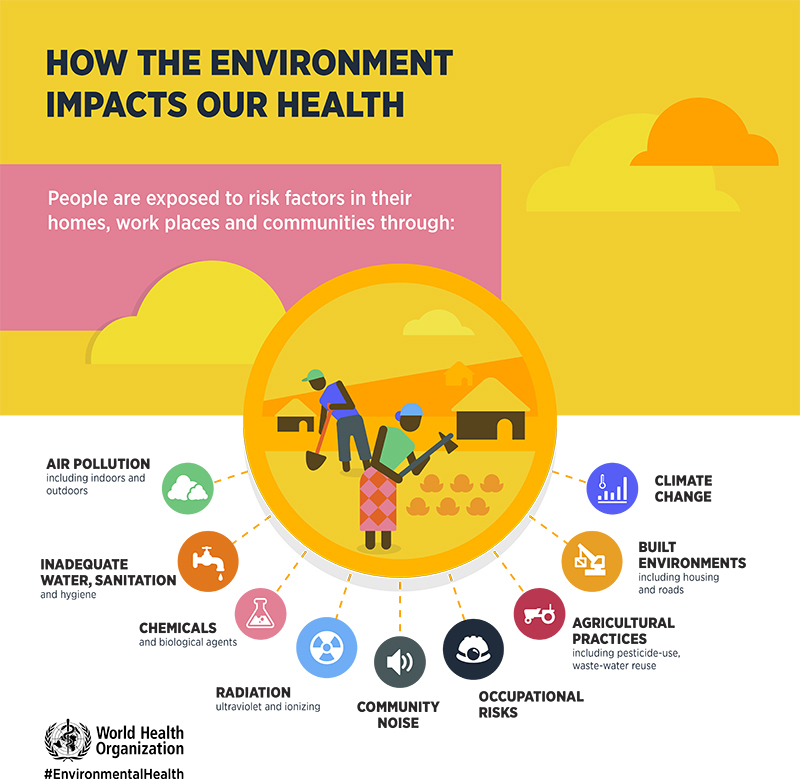 Environmental Health is the branch of public health that focuses on the interrelationships between people and their environment, promotes human health and well-being, and fosters healthy and safe communities. 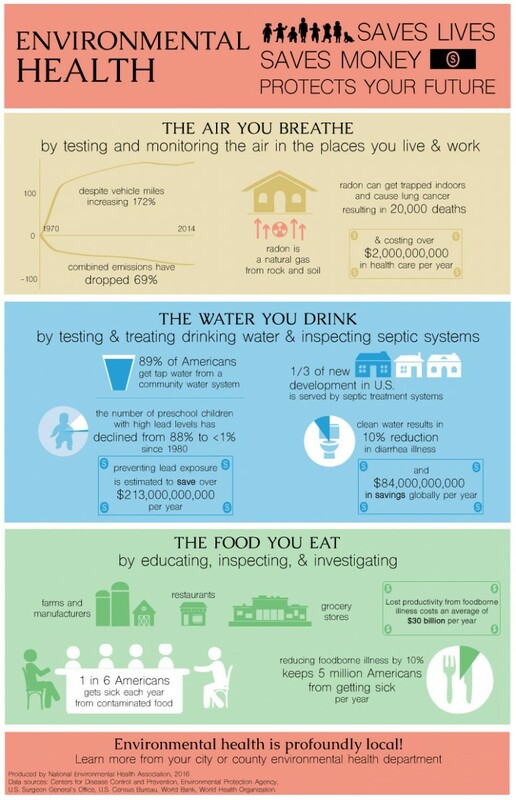 As a fundamental component of a comprehensive public health system, environmental health works to advance policies and programs to reduce chemical and other environmental exposures in air, water, soil and food to protect residents and provide communities with healthier environments. NEHA recently approved newly revised definitions of the terms “environmental health” and “environmental health professional” at the July 2013 board of directors meeting in Crystal City, Virginia. The approval was the culmination of a year-long process of reviewing previously published definitions, proposing revisions to the NEHA board of directors, publishing draft definitions for public comment, conducting an opinion survey, incorporating public comment, and final revision. Alicia Enriquez Collins, REHS, NEHA President.